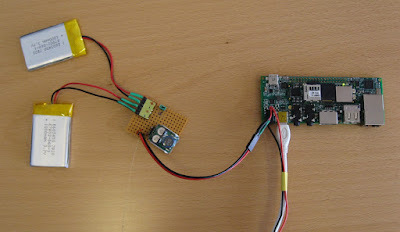 During the weekend I had some time to look at how to disable the combined WiFi and Bluetooth module on the Gumstix Overo Fire. The power source for the onboard video recorder consists of two 1 Ah LiPo batteries and although I did not have any measurement of the power consumption I knew this should be enough for at least one hour even with WiFi and Bluetooth switched ON during the flight (the wall plug adapter is 5V 1A). Still, I wanted to try to disable the WiFi and Bluetooth module since they are not needed during the flight. Today I have received the last pieces that we are going to need for the video recorder based on the Gumstix Overo Fire. I took the opportunity to take some pictures. With only two weeks left until the flight opportunity it was time to make status and try to assess how much I can finish until the launch.